Our TV, radio, print, and outdoor media buys generate new Storm fans and increased sales from a broader region. The forecast is good! 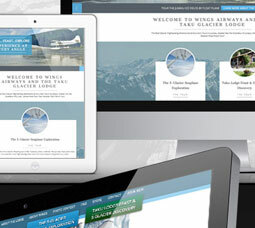 CMA steers "It's a Fine Line" with responsive design, social media marketing, and more. Our video department created television ads featuring Seattle Sounders head coach Sigi Schmid. CMA produced Moneytree TV and radio campaigns that air across the western U.S.
We’re a Seattle marketing agency offering local and national website design, SEO, branding, digital marketing, social media services, video production, and TV and radio advertising. As a top Seattle ad agency, we separate ourselves from big corporate advertising firms by taking a personal approach, helping our clients find the smartest and most strategic options for their marketing dollars. We’ll find the best marketing solutions for your budget.